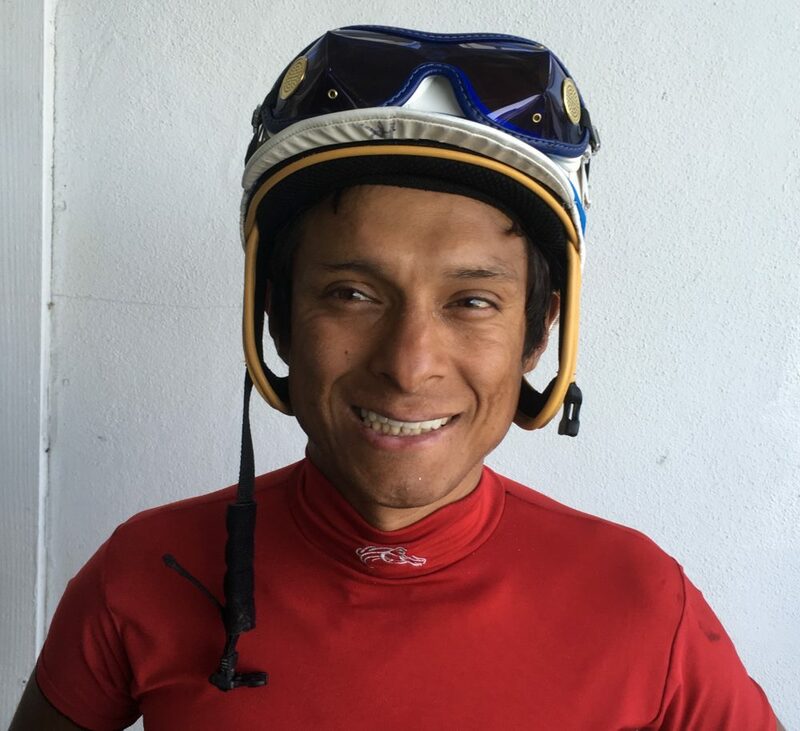 Doctors told jockey Jean Claude Medina he should find another occupation after he broke his elbow and punctured a lung when his mount clipped heels in a race at Tampa Bay Downs in April of 2015 and threw him to the turf. But riding horses means too much to the native of Chosica, Peru to turn his back on a sport that has taught him to persevere in the face of extreme hardships. “Doctors will tell you not to come back, but jockeys never hang with that because we have this in the blood, and the horses always bring you back to the racetrack,” Medina said about a half-hour after winning today's fourth race at Tampa Bay Downs on 64-1 shot Blessed At Mass, a 5-year-old Florida-bred horse owned by Leon McKanas and Jacqueline Iannuzzi and trained by McKanas. The victory was the first for the 36-year-old Medina since 2014, when he rode 27 winners to finish 10th in the standings at Suffolk Downs in Massachusetts. It came in Medina's fourth mount since his return to the saddle at the current Oldsmar meeting. Medina, who missed nearly all of 2010 after breaking his leg, never seriously considered retirement during his recent ordeal. He worked at the nearby Innfields Training Center in Odessa while he was rehabilitating and believed his fitness level made a comeback possible. “Sometimes I felt I wouldn't make it, but when I started working and my mind kept getting stronger and I knew my weight was OK, I thought 'Oh my God, I have to come back,' ” he said. The victory on Blessed At Mass, in a mile-and-40-yard race for $5,000 claiming horses, came by a length from 21-1 shot I Cat. Blessed At Mass paid $131.80 to win and the 9-8 exacta paid $830.20. Medina expressed his appreciation to McKanas, the ownership at Innfields and his family for their support. He has two daughters, Molly and Valentina, who live in Peru, and a girlfriend, Chrissy, who resides in the Tampa Bay area. This entry was posted in People and tagged Horse Racing, jean claude medina, tampa bay downs, thoroughbred by Press Release. Bookmark the permalink.